Manonash work is the culmination of New Life. Manonash (or Man-o-nash) means ‘annihilation of mind’. 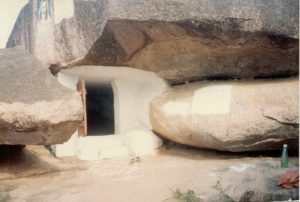 The Manonash phase of work started at Khojaguda cave, Hyderabad. Baba stayed in Hyderabad from 27 May to 24 Oct 1951. During this period He conducted The Hyderabad Meeting for the declaration of ”the God-determined Step” of Manonash. Baba said he called them as witnesses to the Declaration. The meeting took place from 28-30 June 1951 at residence of Nawab Ali Nawaz Jung at Banjara Hills area of Hyderabad. Thirty none (39) Lovers from Hamirpur, Andhra, and other places attended it for three days. Some of the close companions stayed for 7 days. About the God-determined Step Baba said that it will be executed from 16 Oct 1951 to 15 Feb 1952. Baba gave a detailed discourse on Manonash. “To take another example, suppose I am suffering from physical disabilities and afflictions of a type that allow me to move very little, and yet I have decided to climb Mount Everest. The 4 months period was divided into 4 phases: – First 30-40 days was to be spent in Khojaguda cave – Second 30-40, foot journey from Hyderabad to Aurangabad – Third, contacting masts at Khuldabad – Fourth, the final stage at Meherazad. Eruch, Baidul and Pendu found a hill called Khojaguda, 8 KMs from Hyderabad according to Baba’s epcifications. On one side of the cave, there was a tomb of Baba Fakruddin, a 14th-century Muslim saint and on another side a Hindu temple of Lord Vishnu. 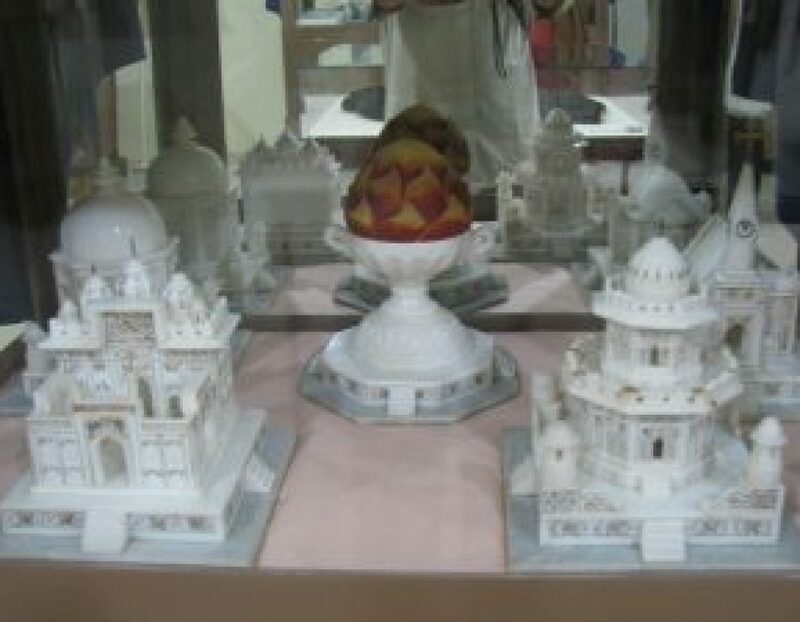 Models of five religious symbols (Buddhist temple, Hindu temple, Christian church, Mohammedan mosque, Zoroastrian fireurn) made of alabaster were made at Agra for the seclusion work. On 15th Oct, Baba arrived in a decorated car at 2:30 PM. On 16th Oct, prayers were held simultaneously at different places – Baba and the group at the dargah of the Muslim saint, Meherjee at fire-temple, Udwada – Keki Desai at Moinuddin Chistie’s tomb at Ajmer, WD Kain at Krishna’s temple at Mathura, Gaya Prasad Khare at Buddha’s temple at Sarnath, Vishwanth Haldankar at Francis Xavier’s cathedral in Goa. At Hyderabad, prayers were held by Nilu in a Buddhist temple, Vishnu in a Hindu temple, Kaikobad in a Parsi fire temple, Donkin in a catholic church, A selected Muslim priest in a mosque. On 24th Oct, Baba set-off on foot to Meherazad via Aurangabad, thus ending the first phase of Manonash work at Hyderabad.